I set this still life up early in the morning when the sun was coming in through my kitchen window. I created an impromptu still life with the objects that I found laying around. I chose the objects for the variety of textures and surfaces. I enjoy painting silver reflections, transparent glass, and wood tones. Capturing the transparency of the glass and the abstract pattern of shapes of the reflections is a fun challenge. The point of view is from slightly above the table and I adjusted the blinds to create an interesting pattern of light. 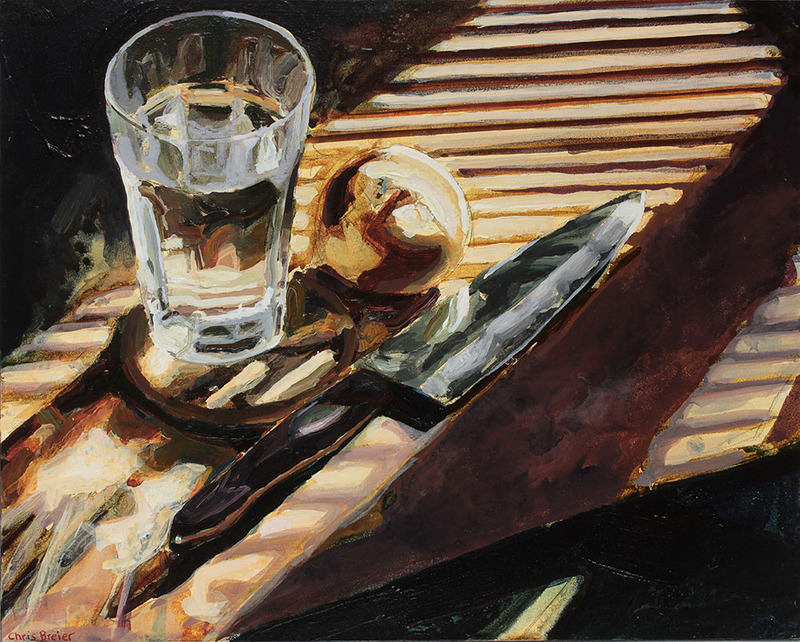 The glass of water appears in a few of my other paintings.